I’m happy to announce that EMF-2.5 will come along with support for the brand new Eclipse-Databinding API coming with Eclipse-Galileo. A big kudos goes to Matthew Hall who reviewed my patches and helped me shapeing the support and it’s documentation (more in bug 262160). I got voted in some weeks ago as a committer on EMF and so now I’m in charge of the Databinding-Support for EMF and I’ll try to fix problems with the API and give answer to questions on the Newsgroup. Before I start explaining some nifty and nice things about the API and how one can use (and probably extend) it let me state that the API is marked as provisional and there are chances (though small ones) that we’ll introduce a breaking API change in the next release. 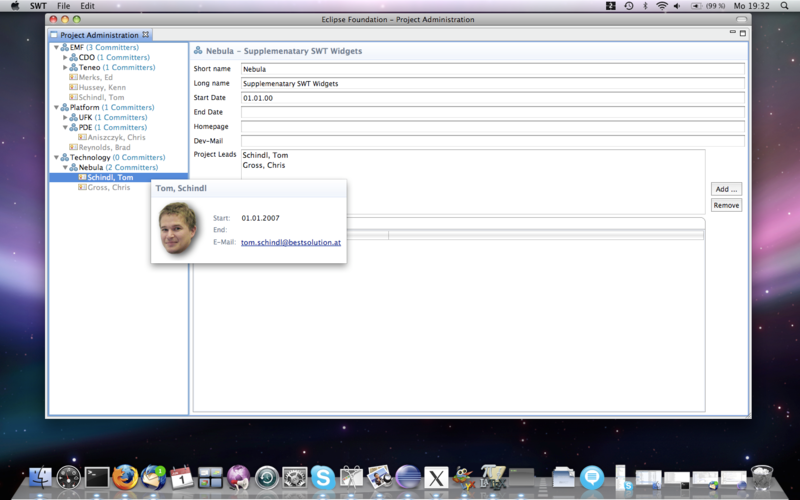 To give you a possible jump-start on EMF-Databinding I’ve been working on an example application in the last few days. 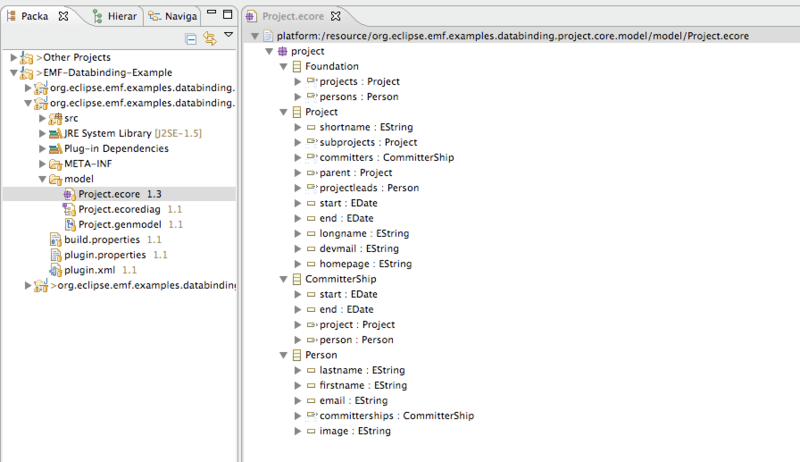 All example code is available from Eclipse-CVS and released under EPL. 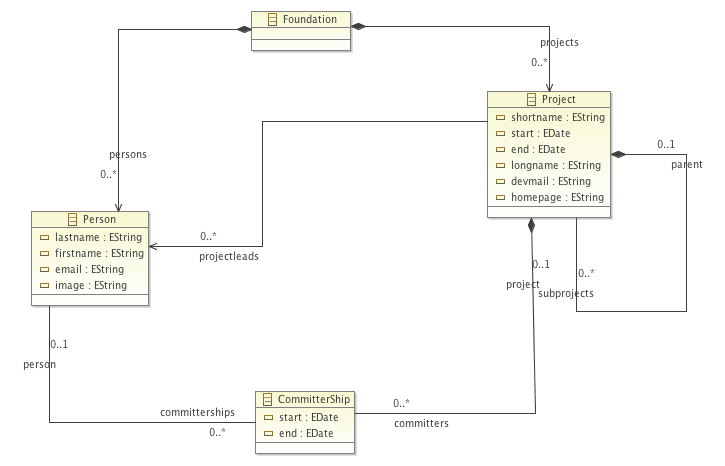 Suppose the Eclipse Foundation hired you to write an application which allows them to administrate their committer and project metadata. As you noticed I modeled many of the relations as bidirectional relations. 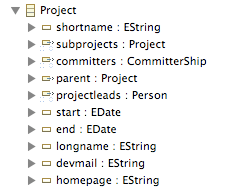 This is not strictly need everywhere because some of the relations like project-subproject have an implicit parent relation because they are containments and hence eContainer() could be used to access the parent. Still when it comes to databinding such a containment relationship doesn’t help because there’s no feature you can use to navigate from child to container but only the call to the method eContainer().